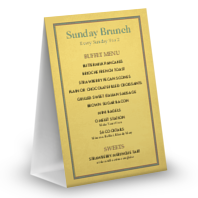 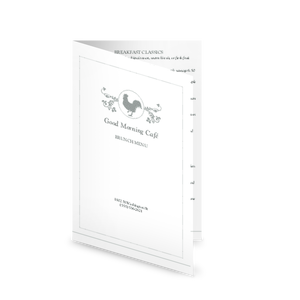 A table tent template offered in two sizes for the Buffet Breakfast Design. 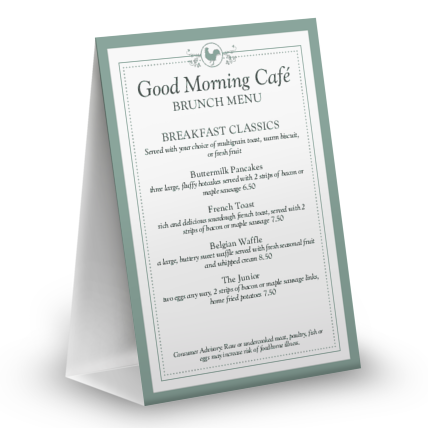 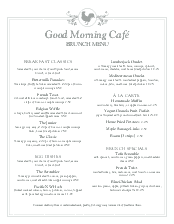 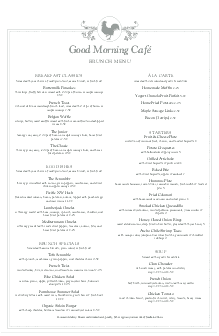 A pale green rooster is framed by a pale green border for breakfast or brunch. 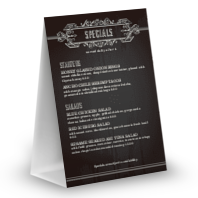 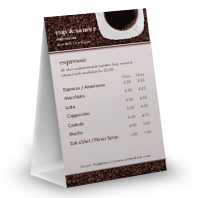 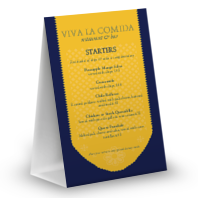 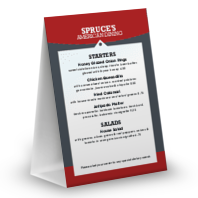 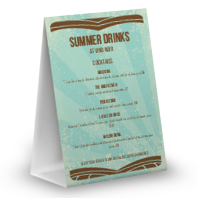 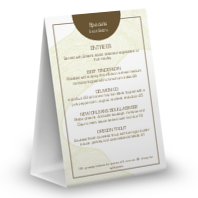 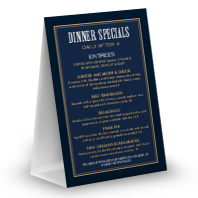 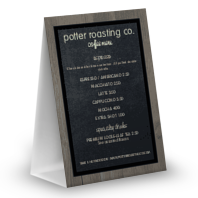 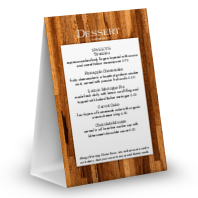 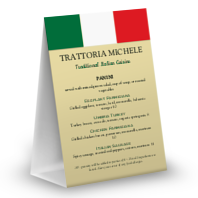 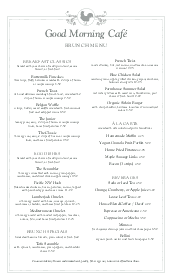 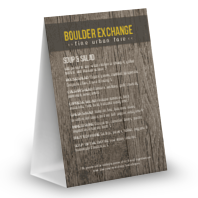 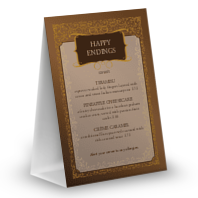 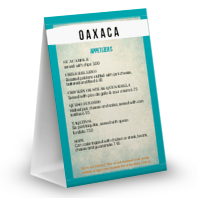 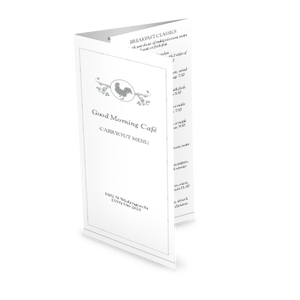 Customize your table tent card in the online Menu Maker.